Alzheimer’s disease is one of the biggest emerging public health problems in the world. Although the last four decades have yielded important insights into the pathogenesis of Alzheimer’s disease, its cause is still unclear, and if it is not discovered the world will face an unprecedented healthcare problem by the middle of this century. In recent years, evidence of the microbial origin of various chronic inflammatory disorders – including several neurodegenerative, neuropsychiatric and other systemic disorders – has been steadily growing. Accumulating new and historic observations are providing evidence of an association between Alzheimer’s disease and certain infectious agents, and may offer new opportunities for ground-breaking healthcare solutions. This handbook assembles and connects findings with regard to the infectious origin of Alzheimer’s disease, and the data presented in its chapters deserves the attention of the neuroscience community, physicians and the health departments of governments worldwide by virtue of its amount and quality. 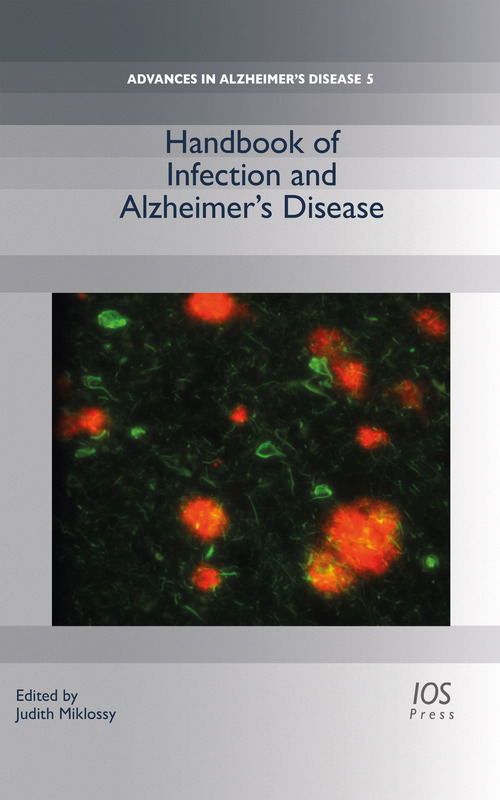 This handbook offers a comprehensive overview of the current knowledge regarding the topic of infection and Alzheimer’s disease, which could pinpoint the cause of this disease. Influential diagnosis, treatment and prevention strategies may also emerge from this crucial research area.